Time flies, and I am still trying to get my head around the fact that it's been ten whole years since I set my first and very surprising world records at Triple Depth in Dahab's beautiful Blue Hole! A special thanks go to Linda Paganelli and Lotta Ericson, not only for organising that fabulous competition for so many years and enabling athletes to test, and gain greater understanding about, themselves, but they were also my first teachers and trainers, and so without them, probably this whole crazy, magical, wonderful journey would never have happened! The journey to reach that point - which had me grinning for days, if not weeks - and the journey since has been so abundant with lessons that it's hard to know where to start. My entire Yoga for Freediving online training programme brings the most important points that I see athletes struggling with again and again together for athletes around the world to benefit from. But my personal one to one coaching with athletes and beginners enables me to really help them understand why their freediving might not be feeling as great as it could - this all comes down to understanding our mental habits or programmes, and learning how to move through them. One of the biggest problems that surfaces again and again is getting caught in the numbers. To celebrate my ten years of deep diving and coaching, I have recorded a special guided meditation to let go of the numbers which is available for free via my website. Just sign up to my newsletter and you'll receive details to access this beautiful 20 minute guided meditation to help you let go of the numbers and find deeper relaxation and more bliss in your dives. If you're already signed up, you'll receive a newsletter with the login details as a thank you for your interest, and support over the years. Here's to all of us - the instructors and coaches, freediving schools, athletes, recreational freedivers and beginners - we're united by our passion for the ocean, and our quest for ever-greater learning and expansion within and beyond ourselves. I'm happy to be able to support a few of you who find your way with my unique spiritual approach to freediving, Discover Your Depths. 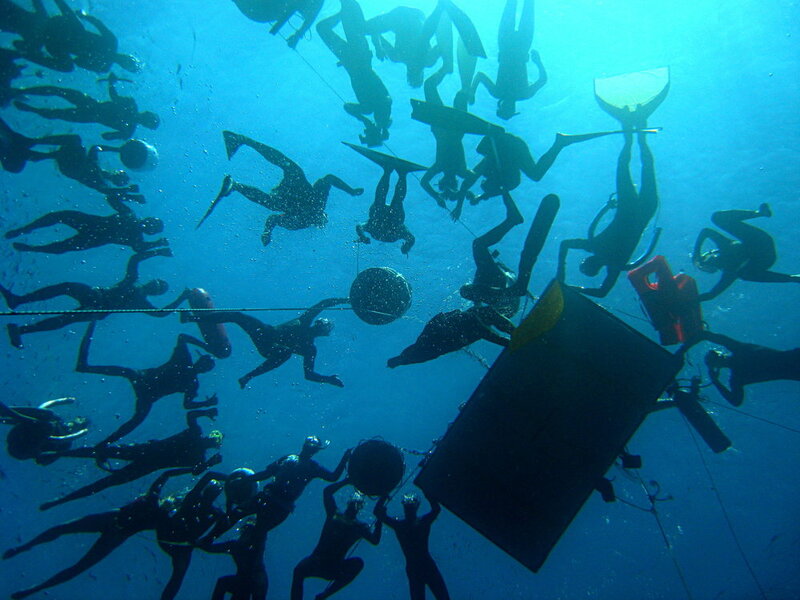 PS - And for those of you who missed Triple Depth 2007, or weren't even born as freedivers yet back then, here's a lovely fun little compilation by our Israeli friends, Yonathan Zur and Dan Zalager. Look out for William Trubridge 90m FIM and Herbert Nitsch doing CNF for - I THINK - his only world record in that discipline. It's such a great trip down memory lane! Enjoy!